There was a token for you in two hosts which met. One army fighting in the Way of Allah, and another disbelieving, whom they saw as twice their number, clearly, with their very eyes. And thus Allah strengtheneth with His succour whom He will. Lo! herein verily is a lesson for those who have eyes. Qad kaana lakum ’Aayatun- fii fi- ‘ataynil-taqataa. Fi- ‘atun-tuqaatilu fii Sabii-lillaahi wa ‘ukhraa kaafiratuny-yaraw-nahum-mis-layhim ra’-yal- ‘ayn. Wallaahu yu- ‘ayyidu bi-nasrihii many-ya- shaaa’. ‘Inna fii zaalika la- ‘ib-ratal-li ‘ulil- absaar. Allah Almighty has signified towards an event for the people who take warning with impossible happenings. This event is notorious with the name “Battle of Badr”. Encounter took place between Muslim Army and Idolaters of Al-Makkah at this occasion. Succor of Allah Almighty reached Muslims, and True and False (Haqq o Baatil) were separated. Number of Infidels was nearly one thousand in the Battle of Badr. They had seven hundred camels and one hundred horses. Their warriors were much experienced and skilled in fighting. On the other hand, Muslim warriors were three hundred and thirteen only. They had only seventy camels, two horses, six chain armors and eight swords. Both Armies saw one another as twice their number, clearly, with their very eyes. The fear of abundance in number of the Muslims prevailed over the hearts of Infidels and they terrified. On the other side, the Muslims turned more attention to Allah Almighty due to looking the Infidels’ Army twice in numbers from them. They kept hope of victory and support with firmness and stability placing confidence in the promise of Allah Almighty. If number of Infidels’ Army did appear in full upon Muslims, which were thrice in number from them, then it was possible that the fear had to overshadow upon them. However, it is an admonitory event for the discreet people to render the small and without means group victorious over such strong group likewise which was thrice in number from them. On that day the prediction was completed which was told to the Muslims many years ago in Al-Makkah. We have learnt from this lesson that real thing is patience and trust in Allah Almighty, not abundance of weapons, equipment and manpower. We should have faith in Allah Almighty in all difficulties and pray Him for support, because entire success and victories are in His Hand. It is not only one event in the Islamic History like this, which has been signified in this verse i.e. the Battle of Badr. But whenever the truth loving have come out with this passion and fervor in the field to sacrifice, victory of Allah Almighty has remained with them of similar circumstances. 11. Like Pharaoh’s folk and those who were before them. They disbelieved Our Revelations, so Allah seized them for their sins. And Allah is Severe in punishment. 12. Say (O Muhammad) unto those who disbelieve: Ye shall be overcome and gathered unto Hell. And it is an evil resting-place. 10. ‘Innal-laziina kafaruu lan-tug-niya ‘anhum ‘amwaaluhum wa laaa ‘awlaaduhum-minal-laahi shay- ‘aa. Wa ‘ulaaa- ‘ika hum waquudun- Naar. 11. Kada’-bi ‘aali Fir- ‘awna, wallaziina min- qablihim. Kaz-zabuu bi- ‘aayaatinaa Fa- ‘akha-zahumullaahu bi- zunuubihim. Wallaahu Shadiidul- ‘iqaab. 12. Qul-lillaziina kafaruu sa-sa-tuglabuuna wa tubsharuuna ‘ilaa Jahannam. Wa bi’-sal-mihaad. The Infidels and Idolaters have been warned in the first verse of this lesson that as ancient nations were punished for their infidelity and plurality in Oneness of God, just like them you will be punished also for such sins. This verse signifies towards Pharaoh and the nations earlier to him that they falsified the Prophets (peace be upon them) sent by Allah Almighty, refused His tokens and disobeyed His Orders. Allah Almighty arrested them in punishment for these all sins and punished them severely. Therefore, one should take warning from those ancient nations, and present Infidels and Idolaters should abstain from perverseness. It has been predicted in the second verse that all those Infidels who are enemies of Allah Almighty and His Messenger (grace, glory, blessings and peace be upon him), will be overcome soon. The Muslims will defeat them. After being punishable in this world, they will be cast fuel in to the splendid Fire of Hell, which is certainly an evil resting-place (very bad place). Our Lord! Cause not our hearts to stray after Thou hast guided us, and bestow upon us mercy from Thy Presence. Lo! Thou, only Thou, art the Bestower. Our Lord! Lo! It is Thou Who gatherest mankind together to a Day of which there is no doubt. Lo! Allah faileth not to keep tryst. 8. Rabbanaa laa tuzig quluu-banaa ba’-da ‘iz hadaytanaa wa hab lanaa milladunka rah-mah. ‘Innaka ‘Antal-Wahaab. Rabbanaa ‘innaka jaami- ‘unnaasi li-Yawmil-laa rayba fiih. ‘Innallaaha laa yukh-liful-mii- ‘aad. laa tuzig – (cause not to stray), the word zay-gun has come in the previous verse, which means doubt, crookedness. This word has also come out from the same essence i.e. zay-gun. In the supplication of laa tuzig the servant of Truth requests, “Cause not our hearts to stray while once You have guided us and we have found the Right Path”. Prophet of Allah (grace, glory, blessings and peace be upon him) used to supplicate often this benediction despite having so much higher grades and splendid perfections, “Yaa Muqal-libal quluubi Sabbit qalbii ‘alaa Diinika” (O Converter of the hearts! Keep my heart steady upon Your Religion). The Erudite know that such Day will come when Allah Almighty will gather all the humankind together. The crooked heart persons who used to quarrel in precepts, decision will be settled for all. Every criminal will have to settle with punishment due to his crossness in manners and obstinacy. Due to this reason, the well learned persons remain disgusted from such unprincipled persons and remain seekers of mercy of Allah Almighty. Allah Almighty described the end of Infidels along with mention of Doomsday that nothing in the world and Day of Resurrection can save them from the punishment of Allah Almighty. The Christian scholars of Najraan did not use to embrace Islam only for the reason that the Christian King would stop to reward them distinguishing gifts in case of their embracing Islam. It has been told here that all these wealth and property are accidental and nothing out of it will be of use on the Day of Resurrection. Therefore, those people who do not believe in Islam for the sake of only worldly wealth and property or honor and dignity, they should comprehend and recognize that wealth, property or mass would not be able to save them from torment. The entire promises of Allah Almighty are true and He keeps His Word always. Therefore, each person should continue doing good acts with complete certainty of the parts of deeds. He it is who hath revealed unto thee (Muhammad) the Scripture wherein are clear Revelations – they are the substance of the Book – and others (which are) allegorical. But those in whose hearts is doubt pursue, forsooth, that which is allegorical seeking (to cause) dissension by seeking to explain it. None knoweth its explanation save Allah. And those who are of sound instruction say: We believe therein; the whole is from our Lord; but only men of understanding really heed. Huwallazii ‘unzila ‘alaykal- Kitaaba minhu ‘aayaatum-Muhkamaatun hunna ‘Ummul- Kitaabi wa ‘ukharu Mutashaa-bihaat. Fa- ‘ammal-laziina fii quluubihim zay-gun- fayattabi- ‘uuna maa tashaabaha minhub-tigaa- ‘al-fitnati wabtigaaa-‘a ta’-wiilih. Wa maa ya’-lamu ta’-wiilahuuu ‘illallaah. War-Raasikhuuna fil- ‘ilmi yaquu-luuna ‘aamannaa bihii, kullum-min ‘indi Rabbinaa. Wa maa yazzakkaru ‘illaaa ‘ulul- ‘albaab. Muhkamaatun– (clear), those clear and apparent verses of Holy Qur’an, objects of which are determined and there is no doubt in their meanings. ‘Ummul- Kitaabi– (the substance of the Book), substance of each thing is called ‘Ummu. Here this fact has been mentioned that those verses of Holy Qur’an, which are clear and obvious, which have only one meaning, those are the substantial and touchstones. Mutashaa-bih – (allegorical), that is such Speech, which have reciprocally several matching meanings, it would be difficult to distinguish between them and come out different points of view from its explanation. Only the religious scholars may make difference between them. It is the duty of public to follow the real scholars in the meanings of such verses. They should not rely on their own senses. ‘al-laziina fii quluubihim zay-gun– (those in whose hearts is doubt), it signifies towards those nations who fixed some allegorical verses seeking (to cause) dissension and by seeking to explain it as real, and by leaving behind guidance and teachings of their Prophets (peace be upon them). When Christians of Najraan were rendered helpless from all obvious arguments of the Messenger of Allah Almighty (grace, glory, blessings and peace be upon him), they said, “Hindmost you also believe in Jesus (peace be upon him) as the Spirit of God and Word of Allah. It is sufficient to prove our claim.” The reply of their useless objection has been given here in a simple manner. Many dissensions and doubts can be dispelled after understanding them. Allah Almighty commanded that there are two types of verses in Holy Qur’an and other Heavenly Scripture like Torah and Gospel etc. 1. Those verse which have ‘known’ and ‘certain’ meanings. Such verse are called ‘aayaatum-Muhkamaatun and in fact root and essence of the entire teachings of the Scripture are these verses. 2. Name of the other type of verses is Mutashaa-bihaat. That is to say, some doubt happens in knowing the meanings of such verses. Correct method is that meaning of the second type of verses should be seen in the light of first type of verses. Which meanings seem opposite, those should be refuted. If the meaning does not become manifest notwithstanding the attempt, even then he should not cross the limits who seeks the meanings. No person is omniscient that he may know every thing. He should remain silent thinking about his knowledge. He should not issue the meanings with wrong method, which is against universally accepted principles of religion and clear Revelations. For example, Holy Qur’an has explained about Jesus (peace be upon him) ‘Inna huwa ‘illaa ‘abdun ‘An-‘am-naa ‘alay-hi (Indeed he is a servant only, to whom We favoured). It guides us on another place, ‘Inna masala ‘iisaa ‘indAllaahi kamasali ‘Aadama khalaq-tahuu min tu-raabin (Likeness of Jesus is just like Adam. Allah created him from the earth). And it has also been proved at some other places that Jesus (peace be upon him) is neither God, nor son of God. Now if any person runs behind resemblances of اللہکلمہ (KalmaHullaah)‘The Word of Allah’ and اللہ روح (RuhUllaah)‘The Spirit of God’ etc. by closing his eyes from all these Muhkamaat. And takes such superficial meanings, which are against the common explanation of the Scripture, by leaving those meanings which are suitable to the clear verses, he is surely obstinate and perverse. Some malevolent people want to ensnare the people astray by misleading them. And some people who are weak in their faith, wish to imply such Mutashaa-bihaat(allegorical verses) according to their own judgment and will. Whereas only Allah Almighty Knows their true meanings. Those people who keep strong knowledge, they recognize the ‘aayaatum-Muhkamaatand Mutashaa-bihaat from Allah Almighty. They believe that the both types of verses are revealed from the same source. Therefore, they try to understand Mutashaa-bihaat in the light of Muhkamaat and which part is out of their sense; they leave it upon Allah Almighty because He is the best Knower. In short it is the duty of a common person who has ordinary knowledge that he should not wrangle with Mutashaa-bihaat, which have more than one meaning. He should ask its meaning from religious scholars, and which verses have clear meanings, he should act corresponding to them without any kind of delay and Reluctance. Lo! Nothing in the earth or in the heaven is hidden from Allah. He it is who fashioneth you in the wombs as pleaseth Him. There is no God save Him, the Almighty, the Wise. 5. ‘Innallaaha laa yakh-faa ‘alayhi shay- ‘un- fil- ‘arzi wa laa fis-samaaa’. Huwal-lazi yusaw-wirukum fil- ‘ar-haami kayfa yashaaa’. 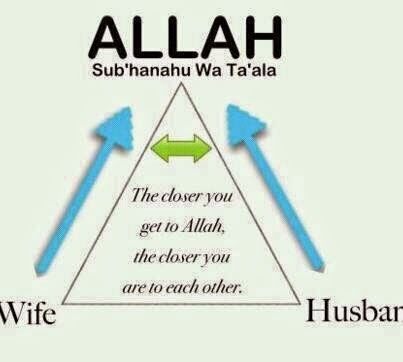 Laaa ‘ilaaha ‘illaa Huwal- ‘Azii-zul- Hakiim. Allah Almighty admonished in the previous verse that He would punish those people who will deny His verses. Moreover, it has been described in this verse that He has Full knowledge about every thing. As His Authority is perfect, likewise His Knowledge is very extensive. Nothing (big or small) can remain hidden for a moment from His Knowledge in the earth and skies. He knows specified difference of the entire goodness and sins. Where can a criminal go who wishes to hide him running out? It manifested also from here that Jesus (peace be upon him) cannot be God because he did not know such complete knowledge. He (peace be upon him) did know only that, which was told by Allah Almighty to him. For refutation of godhead of Jesus (peace be upon him), Allah Almighty described another Quality. That is to say, “He it is who fashions you according to His Wisdom and Knowledge in the wombs of mothers as pleases Him. There is no God save Him. He brings in to being as He wishes – male or female, handsome or ill looking, clear-sighted or blind, dumb or deaf. He causes to rise a human being from an ordinary drop of seminal fluid and blood.” Therefore, how can he (peace be upon him)be called God who remained in the darkness of his mother’s womb, eats, drinks, makes water and discharge from bowels. The Christians used to produce the proof that Jesus (peace be upon him) is God as while there is no apparent father of him, then God is his father (let us flee to Allah Almighty). 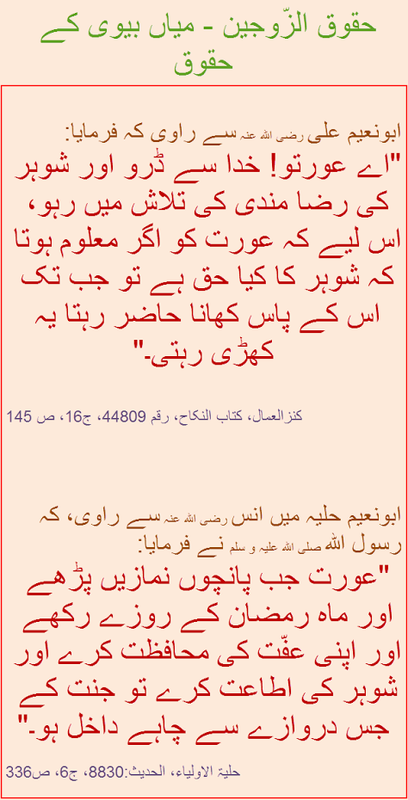 They are being replied for their question in this verse. That is to say’ Allah Almighty prepares the shape of mankind in the womb with His Divine Power as He wishes, either through father and mother (both) or with the power of mother only. Hence, He described the Virtues of ‘Azii-zul- Hakiim, that is to say’ He is Excelling, Owner of all strong Powers and the Almighty, the Wise. 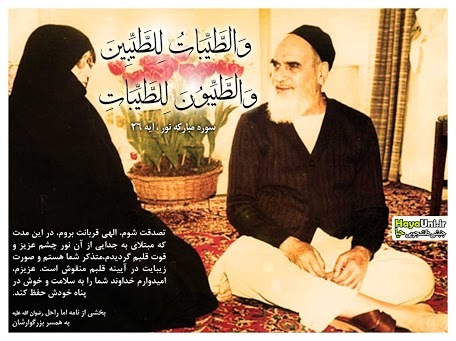 He created Adam (peace be upon him) without father and mother, brought in to being his (peace be upon him) wife without mother. Like this, He produced Jesus (peace be upon him) without father. How can someone have doubt in the Wisdom and Knowledge of such Creator, Master and Wise? Aforetime, for a guidance to mankind; and hath revealed the Criterion (of right and wrong). Lo! 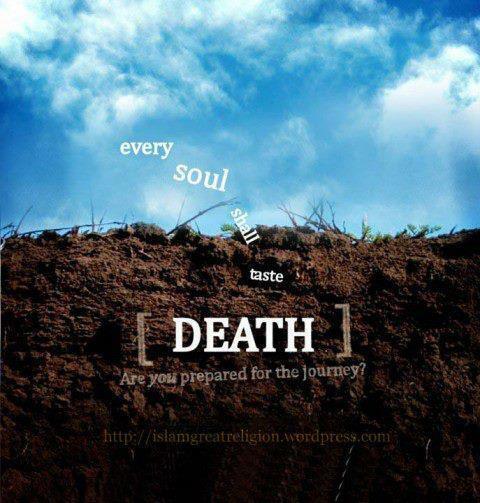 Those who disbelieve the Revelations of Allah, theirs will be a heavy doom. And Allah is Requite (the wrong). Min-qablu Hudal-linnaasi wa ‘anzalal-Furqaan. ‘Innal-laziina kafaruu bi—‘aayaatil-laahi lahum ‘azaabun- shadiid. Wallaahu ‘Aziizun- Zuntiqaam. bil-Haqqi – (with truth), wisdom, knowledge, and justice is also entering in the meaning of the word Haqq along with truth. That is to say; the Speech of Allah (Holy Qur’an) is full of wisdom as well as on truth. Musaddiqun– (a verifier, an affirmer, one who believes other), Holy Qur’an is the Scripture, confirming that, which was revealed before it. It acknowledges each Heavenly Book as on truth, and believes in the Prophets and Messengers (peace be upon them) and their teachings from Allah Almighty. ‘al-Furqaan– (a standard of judging, the Criterion), it means that specified discretion which is born between right and wrong. According to some religious scholars, it aims the miracles, arguments and proofs which were conferred to each Messenger/Prophet (peace be upon him). Furqaanis also the name of Holy Qur’an. Its literal meanings are ‘the Separator’, that is to say; the Separator of right and wrong, true and false. Allah Almighty has commanded in this verse that “O Messenger! Holy Qur’an revealed to you with truth and justice in accord with real wisdom and it has another peculiarity that it confirms the Scripture, which was revealed before it like Torah and Gospel etc. These Books used to guide the ancient people. Like this, as though Allah Almighty told that the faith regarding Godhead of Jesus and being son of God did not exist in any heavenly book, because according to the principles of religion all Heavenly Books are unanimous. Allah Almighty revealed such proper things in every reign, which differentiate and distinct between right and wrong, lawful and unlawful, true and false. At last, He also commanded that the people who will deny believing in the verses of Allah Almighty intentionally, He would punish them (certainly). He is Overcoming, Requite and Perfect Capable to take revenge. Allah! There is no God save Him, the Alive, the Eternal. ‘Allaahu laaa ‘ilaaha ‘illaa Huwal-Hayyul-Qayyuum. Purpose to reveal this verse is that a group of Christians from Najraan came to Messenger of Allah (grace, glory, blessings and peace of Allah be upon him). These people were convinced about godhead of Jesus (peace be upon him). They used to say him “son of God” (let us flee to God) and believed in trinity. When the conversation began, Messenger of Allah (grace, glory, blessings and peace be upon him) proved that Jesus (peace be upon him) was a servant of Allah Almighty. Allah Almighty is pure from it that He is nourished in the womb of any woman, and after birth He eats and drinks like common humankind, (I seek shelter of Allah Almighty from Satan the outcast). Messenger of Islam (grace, glory, blessings and peace be upon him) told that belief of Christians is baseless in which they say, “Jesus (peace be upon him) was hanged and died restlessly (let us flee to God). Messenger of Allah (grace, glory, blessings and peace be upon him) said, “you do not know that ‘Allaahu laaa ‘ilaaha ‘illaa Huwal-Hayyul-Qayyuum (Allah! There is no God save Him, the Alive, the Eternal), He can never die, He bestowed body to the entire creature. Contrary to Him Jesus (peace be upon him) will certainly die, and it is clear that how can he keep up other creature who cannot keep his own existence? Listening it, they all became silent. Then Messenger of Allah (grace, glory, blessings and peace be upon him) said, “if you have still any doubt then come, let us come out bringing our children (yours’ and ours’) and supplicate from God Almighty, “curse upon the liar”. They requested that they would reply after consultation with each other. Accordingly, they consulted among themselves that, “this person is Messenger of God (grace, glory, blessings and peace be upon him), if we shall oppose him in this manner, wrath of God will break in upon us. So it is better for us to go back to our homes”. Therefore, they went back to Najraan. Trinity (with the union of God, Jesus and Holy Spirit it becomes God). Jesus (peace be upon him) is God. He has come in the shape of humankind. Jesus (peace be upon him) is son of God. The words ‘Allaahu laaa ‘ilaaha ‘illaa Huvitiated the first article of faith. Then the words Hayyul-Qayyuumproved that the second and third articles of faith are also wrong, because Jesus (peace be upon him) was born from the womb of a woman. As though, he (peace be upon him) was indigent of his mother for his birth. Moreover, while transitory is also for him (peace be upon him), then he (peace be upon him) cannot be Qayyuum(the Eternal), so how can he (peace be upon him) be Allah (God) Almighty? This Surah was revealed at Al-Madinah. It has 200 verses and 20 Sections. In Surah Al-Baqarah especially the children of Israel were addressed, but in this Surah direction of speech is towards the Christians. As per Sayings of the Messenger (grace, glory, blessings and peace be upon him) this Surah has also many virtues like Surah Al-Baqrah. Abdul Masiih Aaqib – due to chief-ship and wealth. The 3rd person actually belonged to notorious tribe of Arab “Bani Bakr bin Waayel”. The kings of Rome honored and regarded him with respect keeping in view his knowledge about religion, grandeur and nobility. They built churches spending much wealth and appointed him on superior rank of religious matters. These people reached Al-Madinah and discussed in detail with the Messenger of Islam (grace, glory, blessings and peace of Allah be upon him). Holy Qur’an appealed the learned persons in this auspicious Surah for concordance and mutual aid, and if they cannot be partners in other matters, even then they should join at least for preaching about Oneness of God and its dissemination because it is a mutual aim of all of us. The entire Prophets of God (peace be upon them) came in this world with only one purpose. 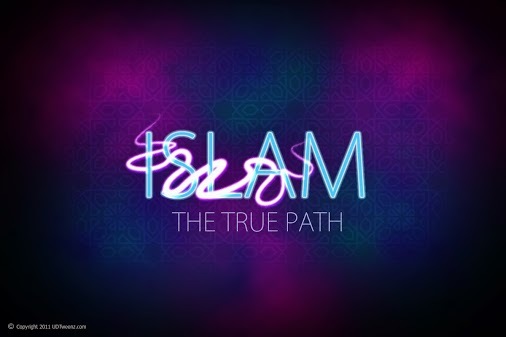 In this connection, the Messenger of Islam (grace, glory, blessings and peace of Allah be upon him) is the last link of this chain. His nation is owner of perfection and evidence with the title of “Well Nation”. Therefore, this last nation of the world was informed about its duties and responsibilities along with this description. Moreover, it warned that it should avoid from those methods, which became causes of destruction of the earlier nations. Surah Al-Imran begins with the words, “Allah! There is no God save Him, the Alive, the Eternal, He revealed the Scripture with truth for guidance of the humanity. He completed them by revealing the Holy Qur’an in the last. He established the touchstone to examine the true and false. Some verses of Holy Qur’an are so clear and bright that everybody can understand them easily. But each person cannot recognize the meanings of some verses. We should believe in all of them and have faith that their meanings are entirely correct, and these all are from our Lord. Then He commanded that the heart of humankind inclines more to wife and children, heaps of gold and silver, holding up and keeping his wished things. However, these entire things are transitory. The heart should be in love with only acquiring willingness of Allah Almighty and the next world. Remaining a seeker of Heaven is the best aim. Allah Almighty has determined Islam as religion for the human world. Sorrow for that some people shirk to believe in it. Afterwards the recitation is about the birth of Mary and her fostering, birth of Jesus (peace be upon them), try to correct the nation and his miracles etc. Then the Christians are told to reap advantage from real preaching of Jesus (peace be upon him) and obey the Holy Qur’an, the Scripture brought by the Last Messenger of Allah Almighty (grace, glory, blessings and peace be upon him), because your own Scripture is witness of his truth. It described also that Prophet Abraham (peace be upon him) was neither Jews, nor Christian, but he was Muslim. After that, a useful message is delivered to Jews and Christians that they should leave slavery of each other and submit themselves collectively before Allah Almighty. If they do not believe in this message, then Muslims should bind it in their knuckle and catch these principles strongly with unity. They should set aside their personal quarrels with each other. In this manner, they will become the best nation out of the entire nations. Looking them, other people will begin to escape from evils and choose good works. Then Muslims are being directed towards Battle of Badr that, their victory was a very powerful miracle of the Dignity of Allah Almighty. 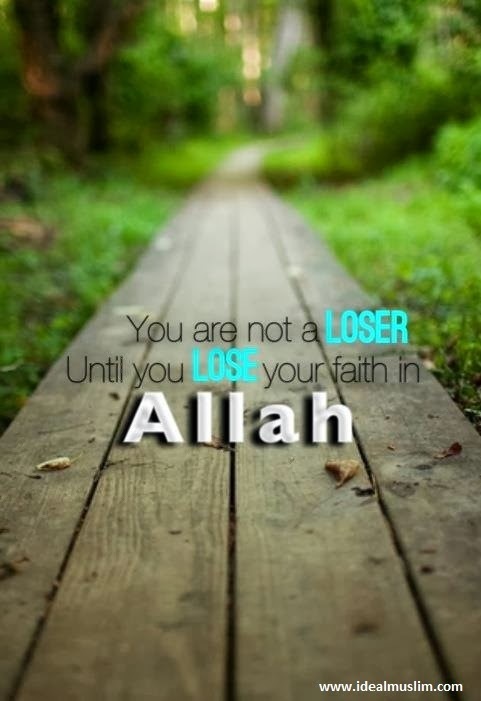 It was impossible to succeed in this Battle without Support of Allah Almighty. Then it has been commanded about unlawfulness of the interest/usury and to escape from it. Probably the order about forbidding from usury has come here due to the reason that as the Muslims gained in the Battle, likewise they will get advantage due to leaving the interest. And the entire humankind will escape from ruin. Then there is mention about the Battle of ‘Uhad. The loss, which was faced by Muslims, that was due to non-implementation of the orders of Messenger (grace, glory, blessings and peace of Allah be upon him). Practices of the Hypocrites is cursed, which they adopted in this Battle and thus it became reason of loss of the Muslims and Islam. The Muslims are being guided that path of life of the Jews and Christians is untrue and objectionable, they should not follow it, otherwise they will suffer. They should not be missed from the apparently prosperous of Infidels. At last, their place is Hell. However, who will embrace Islam and do good works, they will get remuneration. So have fear of God, in it there is prosperity and success for you. Allah tasketh not a soul beyond its scope. For it (is only) that which it hath earned, and against it (only) that which it hath deserved. Our Lord! Call us not to account if we forget, or miss the mark, our Lord! Lay not on us such a burden as Thou didst lay on those before us! Our Lord! Impose not on us that which we have not the strength to bear! And pardon us, and absolve us and have mercy on us. Thou, art our Protector, so give us victory over the disbelieving folk. Laa yukalli- fullaahu naf-san ‘illaa wus- ‘ahaa. Lahaa maa kasabat wa ‘alay-haa mak-tasabat. Rabbanaa laa tu- ‘aa- khiznaaa ‘in-nasiinaaa ‘aw ‘akhta’-naa. Rabbanaa wa laa tahmil ‘alay-naaa ‘isran- kamaa hamaltahuu ‘alal-laziina min-qab-linaa. Rabbanaa wa laa tuhammil-naa maa laa taaqata lanaa bih. Wa’-fu ‘annaa, wag-fir-lanaa, war-ham-naa. ‘Anta Mawlaa-naa fan-sur-naa ‘alal-qaw-mil-Kaafiriin. Rabbanaa laa tu- ‘aa- khiznaaa ‘in-nasiinaaa ‘aw ‘akhta’-naa. (Our Lord! Call us not to account if we forget, or miss the mark). Rabbanaa wa laa tahmil ‘alay-naaa ‘isran- kamaa hamaltahuu ‘alal-laziina min-qab-linaa. (Our Lord! Lay not on us such a burden as You placed on those before us). Rabbanaa wa laa tuhammil-naa maa laa taaqata lanaa bih. (Our Lord! Impose not on us that which we have not the strength to bear). Wa’-fu ‘annaa, wag-fir-lanaa, war-ham-naa. (And pardon us, and absolve us and have mercy on us). ‘Anta Mawlaa-naa fan-sur-naa ‘alal-qaw-mil-Kaafiriin. (You are our Protector, so give us victory over the disbelieving folk). ‘Aamiin. (Our Lord! So kindly be it). Surah ‘Al-Baqarah, which is the longest Surah of Holy Qur’an, ends after above supplications. The Messenger believeth in that which hath been revealed unto him from his Lord and (so do) believers. Each one believeth in Allah and His angels and His Scriptures and His messengers. We make no distinction between any of His messengers. And they say: We hear, and we obey. (Grant us) Thy forgiveness, our Lord, and unto Thee is the journeying. ‘Aa-manar-Rasuulu bi-maaa ‘un-zila ‘ilay-hi mir-Rab-bihii wal-Mu’-minuun. Kul-lun ‘aa-mana bil-laahi wa ma-laaa- ‘ikati-hii wa kutubihii wa rusulih. Laa nufarriqu bay-na ‘ahadim-mir-rusulih. Wa qaaluu sami’-naa wa ‘ata’-naa. Gufraanaka Rabbanaa wa ‘ilaykal-masiir. 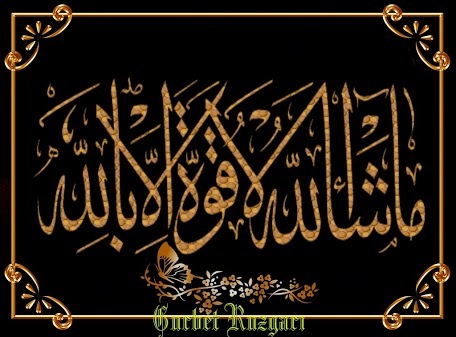 ‘Aa-manar-Rasuulu – “The Messenger (grace, glory, blessings and peace of Allah Almighty be upon him) believed”. First Believers in their Prophet-hood are the Prophets and Messengers (peace be upon them) themselves. ‘aa-mana bil-laahi – (believed in Allah), intention to believe in Allah Almighty is that to confirm, to attest, to verify His Oneness, Virtues and Good Manners. According to the narrations, purpose to reveal this verse is that, when the verse before it was revealed, “And whether ye make known what is in your minds or hide it, Allah will bring you to account for it”, then the Companions (razii-Allaahu ‘anhum wa ra-zuu ‘Anhu) of the last Messenger, Muhammad (grace, glory, blessings and peace of Allah be upon Him) frightened and were confounded. They made mention to the Messenger of Allah (grace, glory, blessings and peace of Allah be upon Him), then He (grace, glory, blessings and peace of Allah be upon Him) commanded, “Quuluu sami’-naa wa ‘ata’-naa”(Say: We hear, and we obey) that is to say; Do not hesitate a particle too to admit the orders of Allah Almighty, as you see much difficulty or intricacy in His Commands and Instructions. Moreover, be ready to obey with stability. The Companions (razii-Allaahu ‘anhum wa ra-zuu ‘Anhu) obeyed the Messenger (grace, glory, blessings and peace of Allah be upon Him), then following speech was current on their tongues impatient, “We believed in Allah and we obeyed His orders. That is to say, we are ready to obey and act upon the commands of Allah Almighty without any care. Allah Almighty liked it very much and then this verse was revealed, which is mentioned in this lesson. God Almighty praised the Belief of His Messenger (grace, glory, blessings and peace of Allah be upon Him) and his Companions (razii-Allaahu ‘anhum wa ra-zuu ‘Anhu), due to which their hearts satisfied. The Companions (razii-Allaahu ‘anhum wa ra-zuu ‘Anhu) said, “We make no distinction between any of His messengers (peace be upon them)”, moreover we admit all of them as the Prophet and Messenger of God Almighty, not that we believe in some of them and do not believe in others. We have complete faith that we have to return to You and attend Your Court. This perception of responsibility before Allah Almighty teaches the humankind goodness and fear of God Almighty.